Make sure to check out Wat Phra Mahathat when in the old city of Ayutthaya. During the town's peak this was arguably the most important temple and remains one of the most intriguing sites today! The exploration of Ancient Thailand is both majestic and exhilirating as you venture into the historic depths of sites unique to this area. 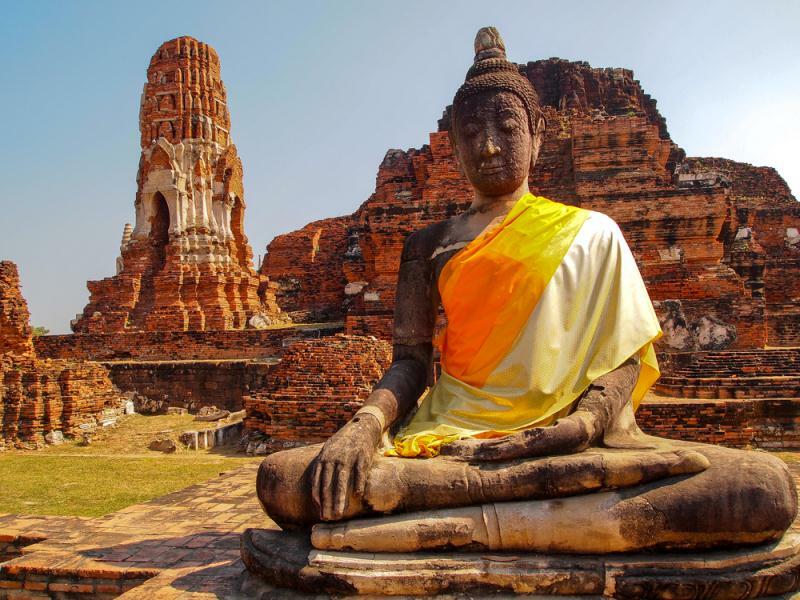 Your day will begin with a drive to the famous town of Ayutthaya. Your introduction will start with lunch arrangements on a traditinal wooden rice barge as you glide across the Pasak River to the east of the old city. Following lunch you will head into the heart of the "Ancient Capital" which stood as the face of the Thai kingdom for 417 years. By 1700 it grew to the largest city in the world with close to 1 million residents and was considered by many european merchants to be the most beautiful city they had come across. Unfortunately its quick demise was just as fast as its rise when it was left abandoned following a Burmese invasion in 1767. The remaining temples and palaces made of stone will create a very compelling ambience that will stick in your mind forever! - Meal included in price of trip doesn't include drinks. - We recommend you wear comfortable walking shoes, light clothes and a sun hat. - Please note there are several cruise piers in and around Bangkok. If your ship changes itinerary, there may be a change in cost. If you have questions, contact ShoreTrips.